We cannot get enough savory-sweet combinations on our weekly menus, and since nectarine season is quickly coming to an end, we’re pairing this sweet stone fruit with some thinly sliced prosciutto for a delightful treat! Preheat the grill to medium-high. 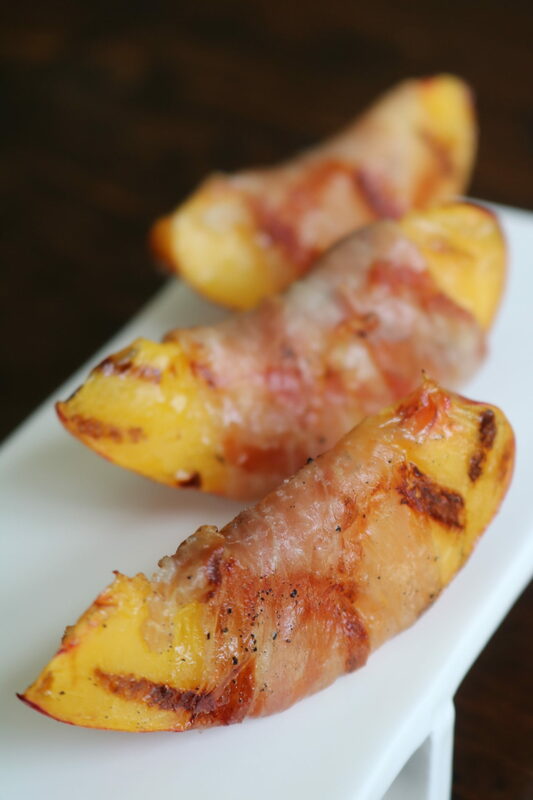 Cut each nectarine into sixths and wrap with a thin slice of prosciutto. 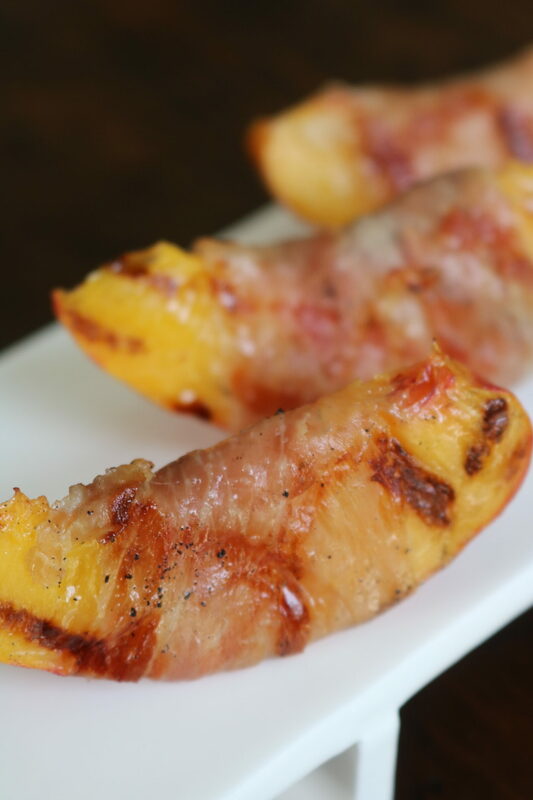 Brush each prosciutto-wrapped nectarine with olive oil and sprinkle lightly with salt. Grill on each side for 2-3 minutes. Serve immediately. Enjoy!